Circle Health has generously sponsored $5,000 as part of the 2019 DifferenceMaker® $50,000 Idea Challenge, for the Contribution to a Healthier Lifestyle category. They are particularly interested in solving the opioid epidemic. 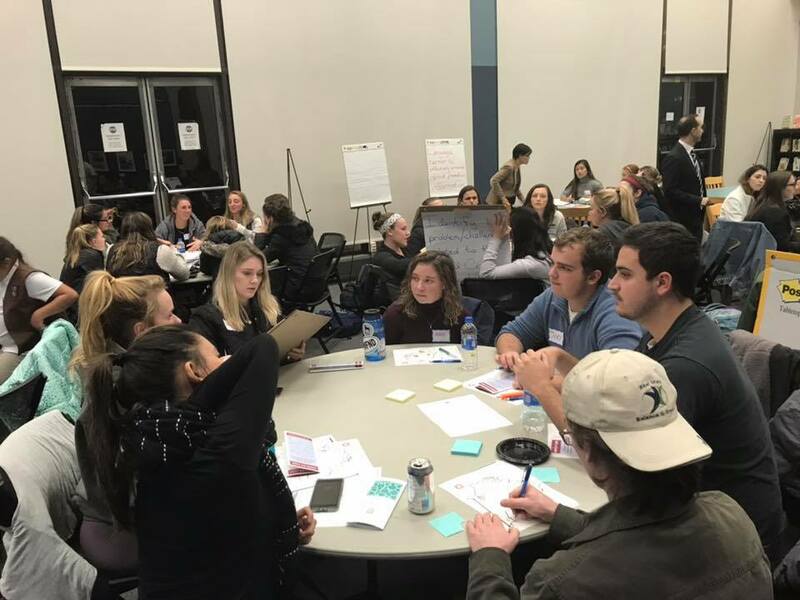 On November 8, 2018 from 5-7 p.m., the Opioid Challenge event was held at the O’Leary Library, Mezzanine on South Campus. Representatives from Circle Health teamed up with DifferenceMaker and the Zuckerberg College of Health Science to encourage students to come up with ideas to solve the opioid epidemic. DifferenceMaker Faculty Fellows, Professor Brent Shell and Professor Mazen El Ghaziri, managed and promoted this successful event, as well as acted as the emcees for the evening. After kicking off the evening with food and networking, Shortie McKinney, Dean of the Zuckerberg College of Health Science, welcomed everyone to the event and introduced the guest speakers. 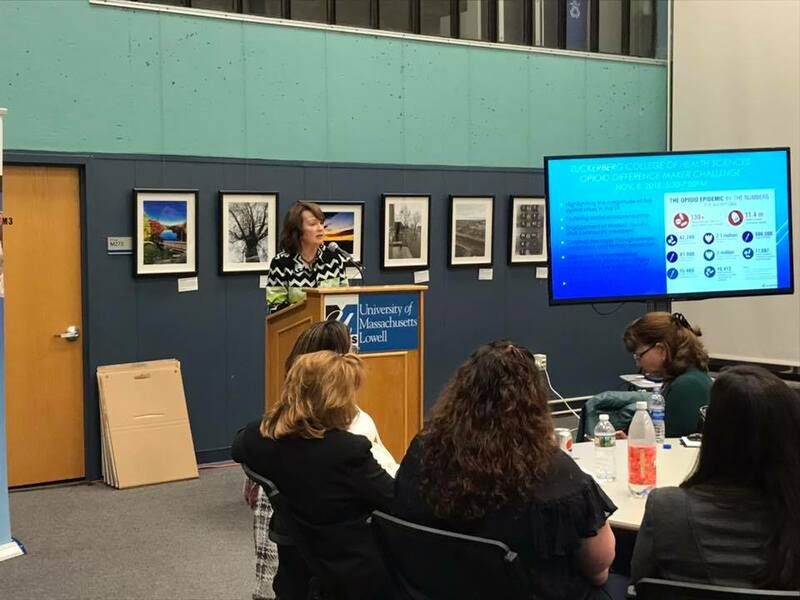 The first two speakers were Diane Maltais and Paulette Viera of Circle Health and Lowell General Hospital. Together, they discussed the causes and effects of opioid abuse and revealed some alarming statistics. Then Holly Butler, DifferenceMaker Program Director, discussed the 2019 DifferenceMaker $50,000 Idea Challenge, and how students can get involved and win funding to move their ideas forward. Elizabeth Lydstone and Danielle Dolan of Lowell General Hospital, and Kerrie D’entremont from the Greater Lowell Health Alliance, further discussed the opioid epidemic and presented the students with the challenge and activity. Considering the stated challenges involved with the opioid epidemic, the students were asked to come up with creative ideas to stop the abuse of opioids. After brainstorming ideas, the teams pitched to the experts from Circle Health, as well as our Faculty Fellows. The teams were given feedback on their ideas, and advice on how to move forward. All students were encouraged to bring their ideas to DifferenceMaker and to apply to the $50,000 Idea Challenge (applications open Dec. 1, 2018 and close Feb. 12, 2019). The event was very successful with a huge turnout! There were about 70 students, faculty and staff that attended.